Halloween is just around the corner and everyone is looking forward to it. 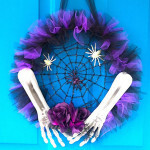 If you want to show off your love for the spooky season, make this Halloween burlap wreath. It will give your front door a creepy touch and scare all those who walk by. 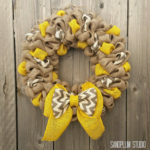 You can also use it as inspiration for your personalized wreath. Here’s how to make it. 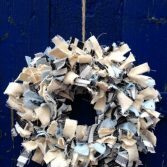 Straighten the tinsel ties to ensure they are not curved. Starting on the inner ring, gather about 6 inches of the burlap and place it at the center of a tie. Secure it with the tie. 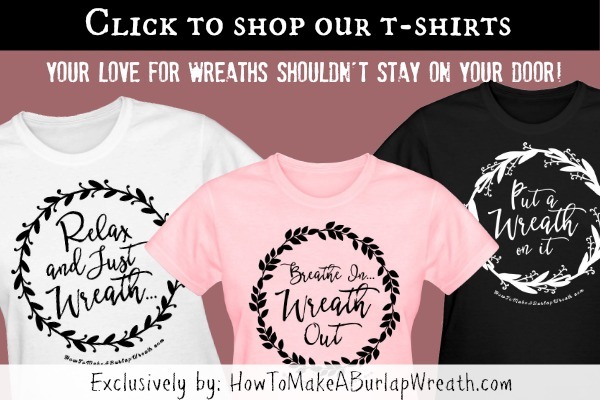 Pull approximately 12-13 inches of burlap between each tie. You can use a ruler to ensure the puffs are similar. Fluff each puff before securing burlap to the next tie. When you are done with the inner ring, move to the outer ring and make more puffs. Secure the burlap to the outer ring with the nearest tie. Gather, fluff, and secure your puffs. Secure any leftover burlap to the closest ring with a zip tie. 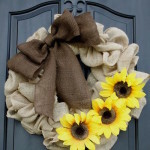 Use floral wire to attach the hat to the burlap wreath. Pass the wire through the bottom of the hat, the top, and the bottom again and secure it to the frame. Shove some of the puffs below the hat inside it to make it stand up straight. Make loops on the ribbon and stick it on the hat with glue. 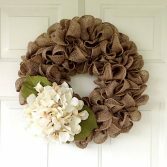 Stick the broom between the wreath wire and burlap. Stick the legs between the wreath wires. 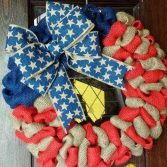 Hang your wreath on the door. 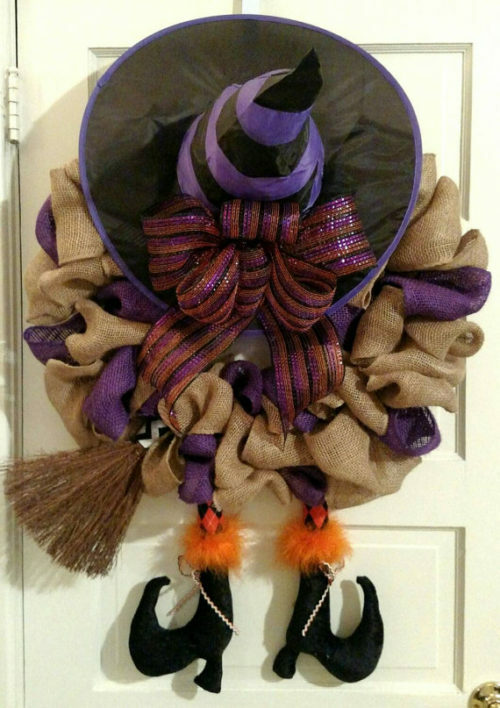 At first sight, this Halloween burlap wreath looks very complicated. The good news is that it isn’t. The only hard thing might be getting the supplies. To remedy that, order online. 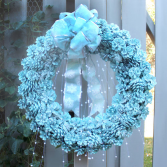 You can customize your wreath to make it unique. You can add bats, spiders, and other scary decorations. 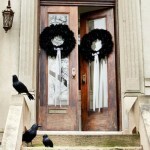 For more Halloween wreaths, check out our Halloween wreaths category!